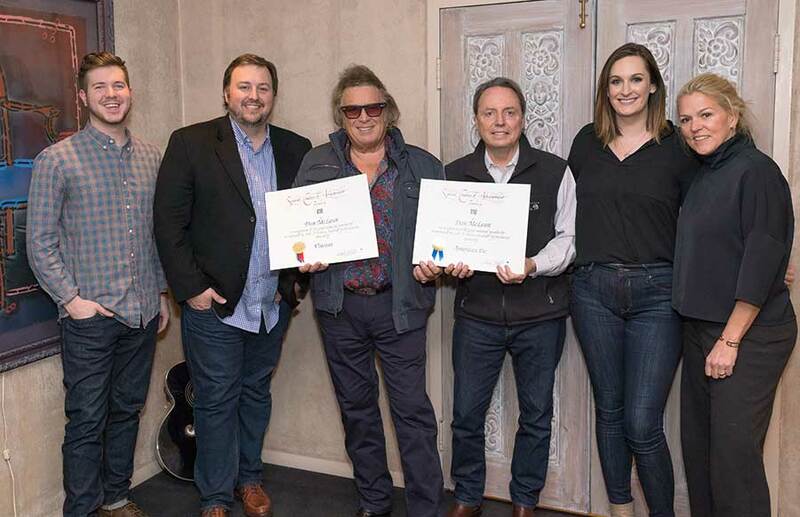 DON MCLEAN BECOMES A BMI MULTI MILLION-AIR | 2911 Enterprises, Inc.
“American Pie” was recorded and made its debut in 1971. It quickly became a nostalgic staple in American music songwriting with its evocative popularization of the phrase “The Day the Music Died,” referencing the 1959 plane crash of Buddy Holly, Ritchie Valens, and “The Big Bopper” J.P. Richardson. Forty-seven years after its release, there has never been another song quite like “American Pie.” While a product of its era, pinpointing a precise moment of cultural change in the shattered hopes of baby boomers, its impact continues to reverberate down the years with a poignancy and relevance that hasn’t diminished. “Vincent (Starry, Starry Night)” also was released in 1971, and is a tribute to the late Dutch painter Vincent Van Gogh’s painting The Starry Night. The song reached No. 1 on the UK Singles Chart, and No. 12 in the US. It also peaked at No. 2 on the Easy Listening chart. The Country Music Hall of Fame® and Museum in Nashville recently unveiled McLean’s rare composition manuscript pages of “American Pie” and “Vincent” lyrics, as well as his custom Martin D-40DM signature acoustic guitar, as part of their permanent Sing Me Back Home exhibit. The display will be available to view through June.